Who am I without my loved one? How will I function under the weight of grief? Where can I find a sense of wholeness? Richard Groves will explore this important topic in three five-week online courses. His teachings are shaped by forty-years of experience in the field of end-of-life care and his new book “Alchemy of Grief” (co-authored with his late wife, Mary). This series is supported with video instruction by grief experts Tom Golden, MSW, and Wendy Howard, PhD. Each series begins with a live three-hour webinar presented by Richard Groves. There will be an opportunity to explore the many facets of grief through lecture, discuss topics in small groups, and ask Richard one-on-one questions. Over a five week period, you will receive our resource packet – filled with readings, journaling questions, book suggestions, and relevant videos by Wendy Howard and Tom Golden. All participants will be encouraged to look at their relationship with grieving, since we all experience loss. Grief has the power to deeply transform your life. “The Alchemy of Grief” teaches how to use that transformation for growth and healing. -A wealth of materials sent to your email each week for five weeks. This series is created in honor of the 10th Anniversary of Mary Groves’ passing. Often, those living with grief feel alone. The loss of a loved one leaves a hole in the fabric of their lives, and it can be very hard to reach out for help or discuss difficult emotions. This web series provide a place to explore painful feelings, discuss them in a safe place, and carry out best practices to find strength and peace. Helping patients and families navigate grief can be a difficult task, especially if you haven’t received training in this area. “The Alchemy of Grief” webinar series will not only teach you lessons, tools, and best practice, but also provide videos, articles, and community resources that can be shared with those in need. Continuing education credit (2.75 hrs.) will be available through California Board of Registered Nursing and National Association of Social Workers- Oregon Chapter. When a loved one is suffering, it is very natural to want to help. Too often we turn to clichéd sayings and retreat into uncertainty. This webinar series will dive into ways we can talk about grief, understand what your loved one is feeling, and offer deeply encouraging support. 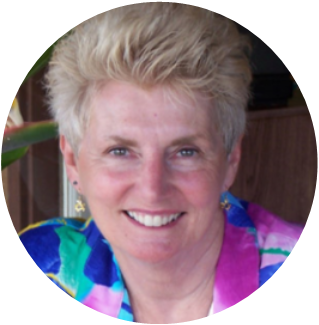 This course is shaped by Richard Groves’ upcoming book “Alchemy of Grief”. Authored by Richard, it includes materials and writings by his wife, Mary Groves, who passed away in 2009. 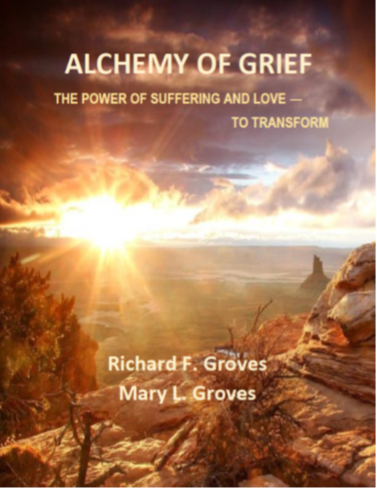 By this means, he has been able to co-author “Alchemy of Grief” with Mary and bring her voice and blend their thoughts on the subject of Loss and Transformation.